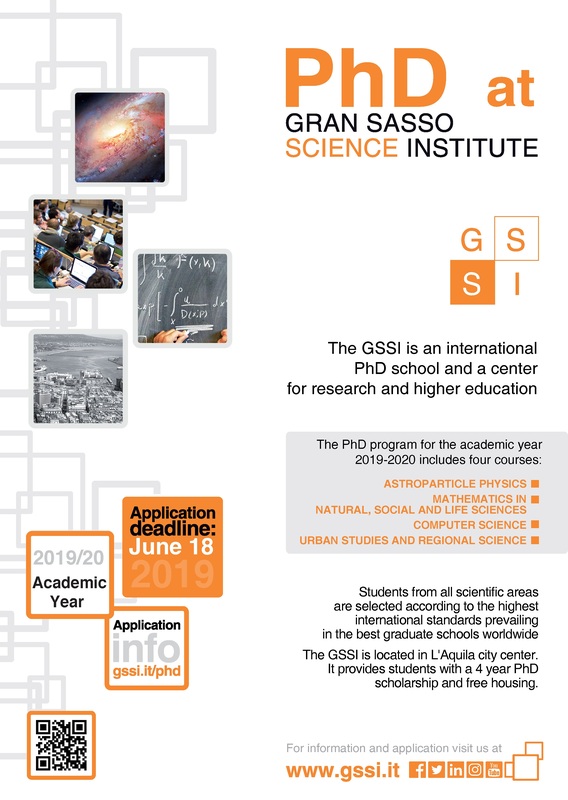 The GSSI is an international Ph.D. school and a center for advanced studies in Physics, Mathematics, Computer Science and Social Sciences, located in L’Aquila (Italy). 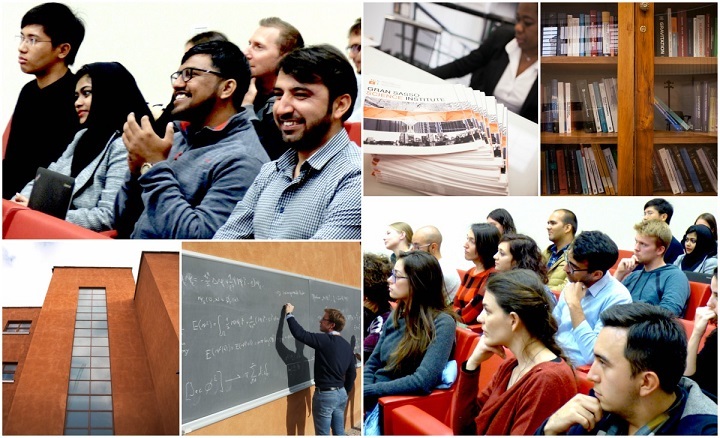 It was founded in 2012 as Center for Advanced Studies of the National Institute for Nuclear Physics (INFN) and then established in March 2016 as a School of Advanced Studies providing post-graduate education. The GSSI aims to create a new center of scientific excellence in L’Aquila fostering the skills and highly specialized structures already present in the area, such as the Gran Sasso National Laboratories of the INFN and the University of L'Aquila, facilitating the attraction of high-level resources in the fields of natural and social sciences. Its purpose is to form high-level human capital, integrating education and research in a lively interdisciplinary environment.